Ruskin Bond was one of the first authors who got us observing nature as we flipped through the pages of his books that were about friendship, love, hardships, and appreciating what we have. But apart from this, there’s always something to learn from books, whether it’s a poetry compilation, a memoir or even a piece of classic literature. Keeping that in mind, here are six books that are keepsakes, perfect to navigate through the late 20s. Written by the Dominican American author, the Pulitzer Prize novel, a work of fiction, is set in New Jersey and deals with the Dominican Republic experience under dictator Rafael Trujillo. For The Late 20s: While it gives your emotions an upheaval and will bring about some tears, it is sure to make you feel a bit braver, considering that it has some elements of magic realism thrown in. By this age, we tend to look at the darker side in life, so this book is one cure to pessimism, in our eyes. It’s obsessed with ancient Greece, it has a murder and is the perfect read once you’re done and dusted with college and want to be a part of something thrilling during those years. What we’ve loved is the fact that the writing is superb, and take you on a trip of its own. For The Late 20s: It talks about close friendships and relationships that still linger in our hearts. By no means a light read, it is sure to pull you into the romance of a life without much else but studying literature and the arts – perfect for this age where we dwell on all things college and friendship with childlike wonder. Suketu Mehta’s magnum opus on Bombay is a masterpiece. From local train travel to the underworld, the book tells us the evolution of the city from a fishing village to the megapolis that has narrow bylanes between two slum pockets that are craftily established between two skyscrapers. For The Late 20s: For those who love the city, this is your go-to book. 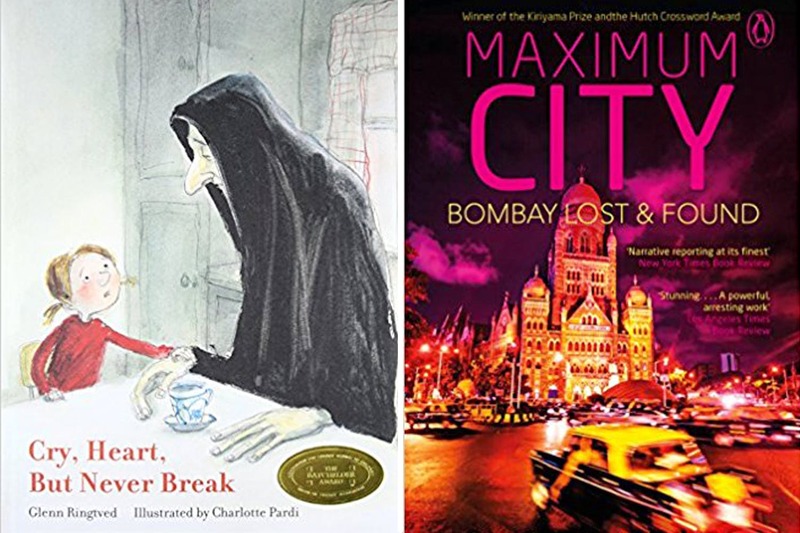 For those who hate it… read it and you’ll be left wondering what more Bombay has to offer. It’s special because, at this age, you’re able to appreciate the finer nuances and can go back and relish those bits when you come across them in the city. The greatest book on life, the universe, and everything. Why? we hear you ask? Because it’s not full of scientific jargon, even though Neil Degrasse Tyson and Stephen Hawking have made science easy to read and understand. In Bill Bryson’s case, it’s the story of a journalist who loved science and how he has interpreted it. It begins with the evolution of the universe and ends with the world we see today. For The Late 20s: Going through this time period can be especially tough since you’re almost there, but not quite. It gives you a reason to explore a lot more, understand the world better, and take an interest in science and its possibilities which you can only appreciate as you’re a little older. Riad Sattouf’s three-part graphic novel of a French boy growing up in Syria in the 80s is one of the finest stories you can read in the modern age. Originally written in French, the first two books have been translated and tells the story of a boy (Sattouf) who was born in France to a local mother and a Syrian father but moved back to a village in the war-torn nation. For The Late 20s: It tells you a story of growing up, realising your parents aren’t Gods, and battling your conflicts. Since we deal with this so much at this age, we thought this would make for a very interesting read. “Aware that their grandmother is gravely ill, four siblings make a pact to keep death from taking her away.” The last book in our list is supposed to be a children’s book, but reading this gives you such a fresh perspective when it comes to grieving. As Albus Dumbledore said, “Death is nothing, but the next great adventure.” And this book is just that. For The Late 20s: Not a typical suggestion but we had to add it to our list, simply because we push this topic so far away from our minds and don’t really know how to deal with it. It’s the right age to appreciate the subtle nuances the book has to offer and cry a little bit. For us and for everybody. While you can easily shop for our recommendations online, do make it a habit to visit some bookstores like Trilogy, Kitab Khana, Wayward and Wise and a lot many others recommended by us. Who knows, you might find something you’ll treasure for a lifetime!